How can I take part in the surveys? 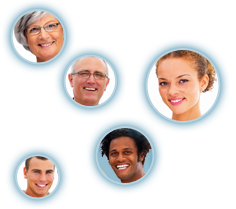 Simply register with the Opinea Panel and check your emails regularly. If a survey fits your profile you will receive an invitation via email. By keeping your profile up to date you’ll have more chances of being solicited for online surveys. How often will I be invited to take part in surveys? It depends entirely on your profile but you won’t receive more than 2 invitations per month. How long do the online surveys take, on average? On average a consumer test takes between 5 and 30 minutes. We do everything possible to make the surveys as short and as straightforward as possible. Will the Opinea Panel try to sell me something? No. The Opinea Panel will never try to sell you anything, nor will we send you unsolicited mail from our partners. Usually you need to reply within 3 to 10 days. The email inviting you to take part in the survey will give you more precise details. A reminder email will be sent to you several days after the initial invitation email. Will the Opinea Panel or one of their partners have access to my answers? There is never a direct link between your personal details (name, address) and your consumer test answers. We have the same agreements with our partners.